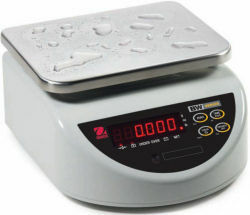 The Ohaus BW Series Compact Scales are designed to handle the job in a wide range of manufacturing and food service applications! A fast display update rate and the waterproof enclosure allows portioning of meat, poultry, fish or frozen food in wet/damp environments. The high precision load cell makes the BW the ideal scale for mixing of flavors and spices as well as chemical ingredients. Bakeries will appreciate the patented dustproof sealing while checkweighing dough before packaging. 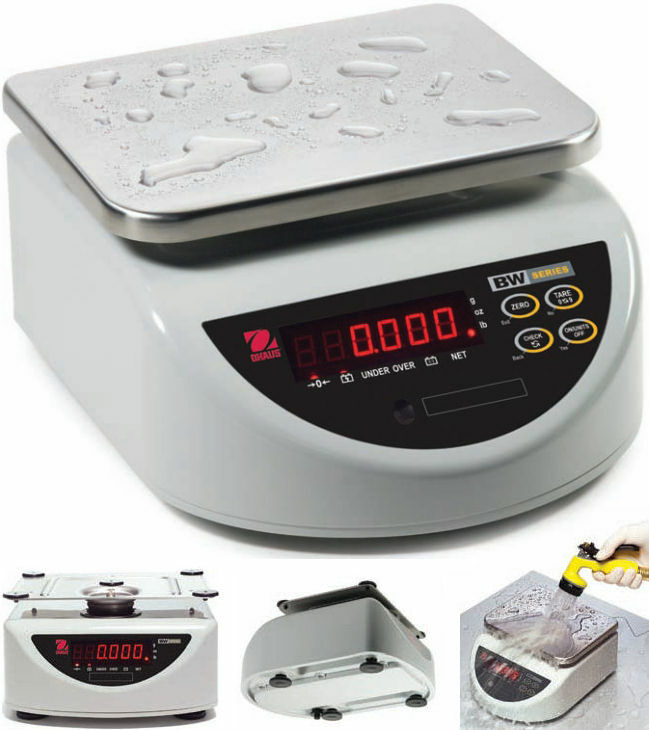 Consider the potential—restaurants, retailers and "Mom & Pop's" can enjoy the BW's speed and versatility for weighing anything from tea and coffee to cheese, fruit, mushrooms—you name it! 180 x 230mm / 7 x 9"
12.2" x 9" x 5"